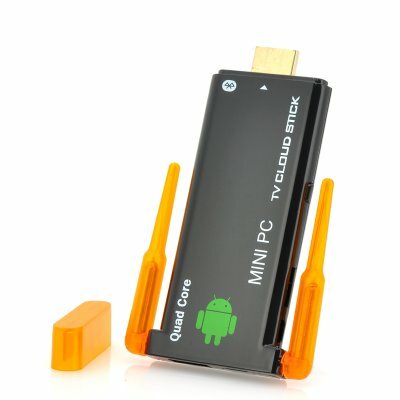 Successfully Added Mini Android 4.2 TV Dongle "TV Cloud" - 1.6GHz Quad Core, 2GB RAM, DLNA, 8GB Internal Memory to your Shopping Cart. Mini Android 4.2 TV Dongle with a 1.6GHz Quad Core, 2GB RAM as well as 8GB Internal Memory and DLNA for a cool Android experience. Enjoy Android 4.2 Jelly bean in all its magnificence directly through your television set. Sit back in comfort and enjoy the wonders of Android using this TV Dongle’s high definition connection for a quality picture, this is the “TV Cloud”. Due to having an Android 4.2 operating system, the “TV Cloud” can present the ability for the user to fully customize and personalize their Android system in a way that suits them. Furthermore with a pre-installed wealthy Google Play store, the user can choose from over 700,000 applications to download and install. Update your Facebook status, watch videos directly streamed on YouTube and go crazy with Angry Birds and more directly from the comfort of your sofa just by downloading the correct app. See the power and glory as this TV dongle has a powerful quad core processor that can clock speeds of up to 1.6GHz. The resulting performance is like no other as all four cores will work to produce a faster response and will run more efficiently. 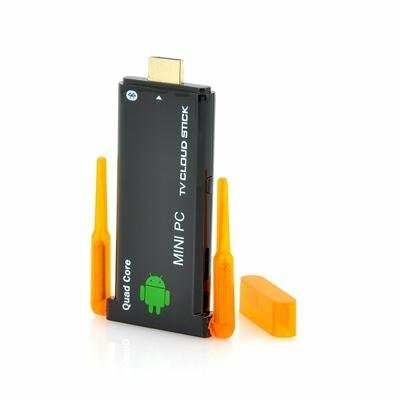 Also there is 2GB RAM that ensures that this Android mini PC will operate in a way that will please the user and even when it comes to running applications and using other functions, that this TV dongle will deliver a strong and positive speed with no burdens. Plenty of internal memory is available with this TV dongle as it comes with 8GB; this can be expanded via the built-in micro SD card slot that can support up to an additional 32GB. The “TV Cloud” even supports DLNA for multimedia sharing possibilities. This product is in stock and can be dispatched within 1 working day of ordering with a 12 month warranty. Brought to you by the leaders in wholesale electronics and TV boxes, Chinavasion.